Are Animals Conscious and Does it Matter? Many people hope that some day we may meet an intelligent being from another world. Hollywood tells us this stranger will come flying down in a spaceship, and will look a bit like us. Most importantly, he’ll have a mind like ours and we’ll figure out how to communicate in a few hours. But maybe it won’t be like that. Maybe it will be like this…. Luna (Tsu’xiit). Photo: The Whale. After watching the story of Luna, The Whale, I felt a profound sense of loss. Even though it was years ago, and I had not known Luna directly, I mourned for the loss of his joyful soul. 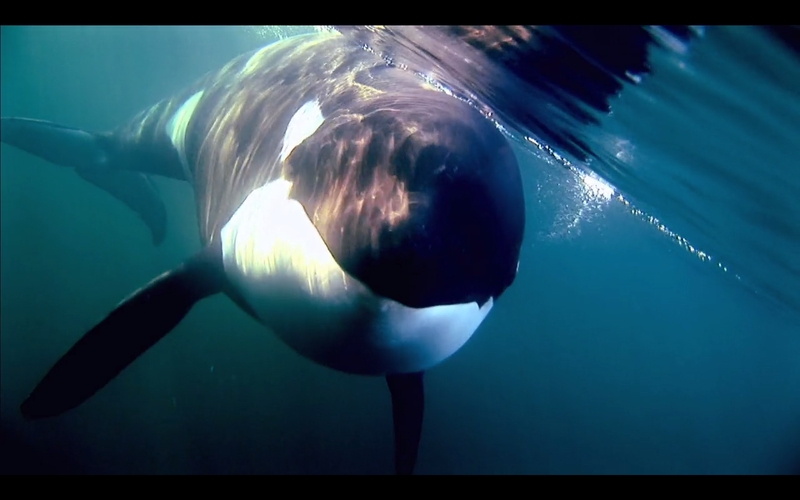 He was an Orca — not a dog, or a cat, and certainly not a human — but I felt his loss and sensed it deeply in those that had known him. He appeared to be a close friend; no more, no less. And even though I admit — as a scientist — that I was taken in by his personality, his charm, his exuberance, his obvious passion and delight in interacting with humans, and that all these impressions are emotional and subjective, he created a question in my heart; a fundamental question that I have been pondering for many years. This question stretches both our science and our philosophy. It stretches — perhaps beyond the breaking point — our scientific methods for assessing the problem of determining whether animals are sentient and, if so, does that change how we treat them? 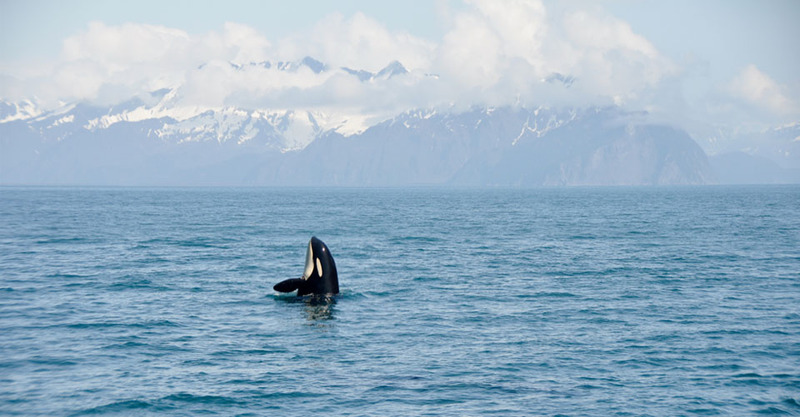 And of course you can take a look at Luna, and Orcas in general, and easily say yes. They are incredibly intelligent, live their entire lives in close-knit families, play and teach their young, and seem to show obvious emotions, such as joy, fear, loneliness, and anger. But does that mean they are conscious and sentient? I use sentience to refer to the ability of an individual to feel, perceive, and have experiences; to be self-aware, to know they are a unique individual and recognize that you are as well. In other words they are fully conscious beings (Allen and Testman, 2015). Not human consciousness but conscious nevertheless. We all have a lot at stake in this question for I believe the answer is essential to our long-term existence. For animal rights is perhaps the major social movement of our time and presents us with some important choices. The truth is we are surrounded by animals but we can’t understand them. But language, as we know it, is distinctly human, and what we really need to know, as Carl Safina has aptly described, is beyond words, something more fundamental, something from a time that is older than us, part of a language that Derrick Jensen described as older than words. For if this is true we are missing something important on Earth, something we need to learn. For what is at stake is our relationship with nature on this planet and perhaps our mortal soul. 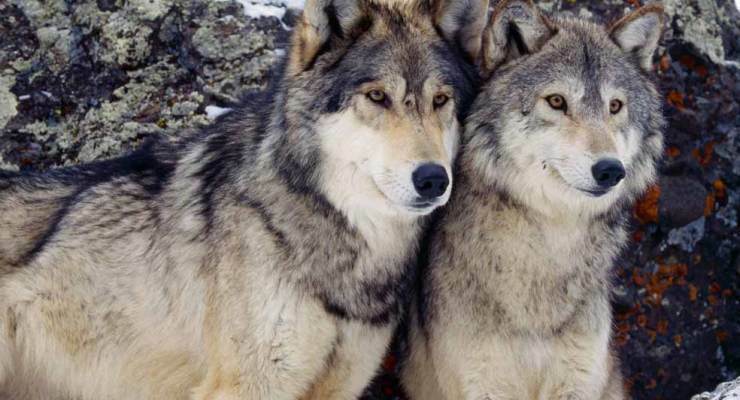 Grey Wolves: we know because they compete with us for food but they have families like ours. Just as we have major issues with “others” among humans — the root cause of most human suffering — we have an even bigger problem with the creatures on this planet. Because with them we are blinded by our greed, our needs, our hatreds, our conflicts, our fears, and worst of all, our indifference. For some animals fulfill our needs, they are our pets, our food, our symbols of nature. Some only see them in that context. Other animals are defined by our conflicts with them, how they steal “our” food (e.g. wolves), how they compete with us for our livelihoods (e.g., seals, sea otters, bears), or how they play on our fears of nature, our fear of the “wild”, of being attacked by snakes, or sharks, or lions, or tigers. But for most animals we just don’t care at all and treat them with indifference, we just ignore then unless they appear “cute” or are “warm” and somehow pull on our heartstrings. And of course if we are starving, or barely surviving economically, or being attacked, if it comes down to us or them, the choices are easy — us. But if isn’t essential can we just take a moment to think about our choices. To try to think about them as something than “other”. 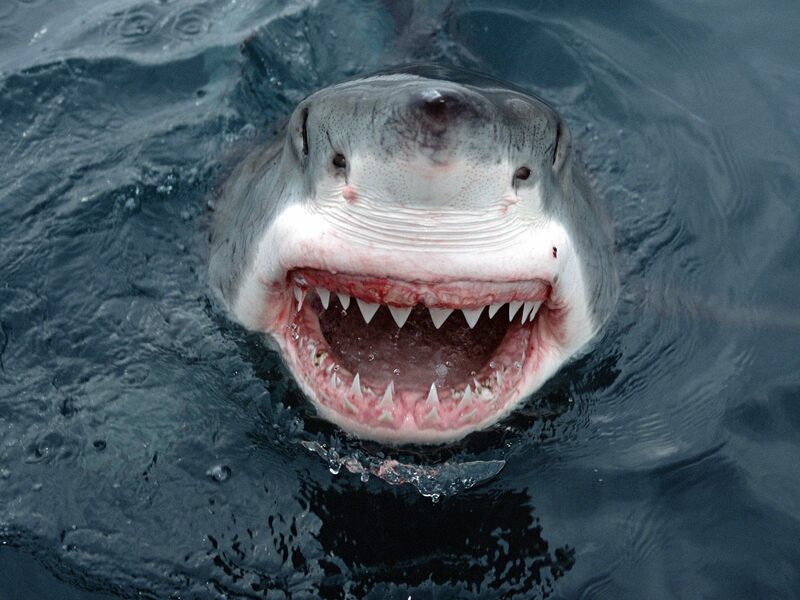 Sharks: we know them through our fears but they have individual personalities. But regardless of how we view them, they are what they are. Creatures born of this planet, just like us. And despite what we may think, they aren’t here just for us. Are we so lofty that we alone can decide who lives and dies on this planet? That all other species, some that have been around for millions or tens of millions of years before we came on the scene, are somehow less than we are because they aren’t something we recognize in a arbitrary way? Should we define how they are to be treated, to decide if they feel pain and suffer? If that is true, does it really matter if they serve our needs? Clearly we have the capacity to make those decisions — we are in a position to do — but I would maintain that we are not doing a very good job of it. Because with our high intellect comes a high moral burden. We need to get this right. But why is the question always do they love us? Why is it always about us? Why are we such narcissists? I found a different question to ask animals. Who are you? And right there he nails it. Because shouldn’t we seek to understand animals before we judge them? And just because we don’t take the time to know them is it ok to make decisions that affects their very existence? Because what is important is that our guilt or innocence as a civilization, an enormous body of cruelty, may hang in the balance (Allen and Testman, 2015). More importantly you could argue that it doesn’t matter for aren’t we better than that? Should sentience per se be a factor in how we treat animals? For even if animals are not conscious, they deserve our respect because we occupy the higher moral ground. But if animals are conscious, then they deserve the moral consideration of being fellow beings. Either way we need to rethink our relationship. Is anybody home? 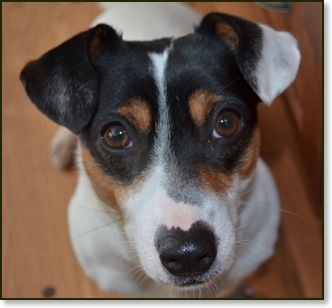 Are dogs sentient? Does it matter? But maybe it is simpler then that. Maybe it just takes time to get to know a “non-human”. The animals we know best are the ones we live with the most, our pets. We bring our dog and cats into our homes, and treat them like family, sometimes better than family, and we love them. They respond to a wink and a nod, a turn of the head, a familiar gesture or sound. They cuddle with us, sleep with us, play with us, enrich our lives. Don’t you feel their souls? Don’t you wonder what they are imagining as your dog twitches while dreaming? Isn’t there a spark there that you recognize as a kin, a fellow being? They anticipate our next moves, get used to our routines, recognize our idiosyncratic ways as individuals? They know who you are but do you know them? With our pets it’s an easy answer but not so with other animals. And this is what Luna taught. Not by speaking, not by force, not by fear, but by being who he was. 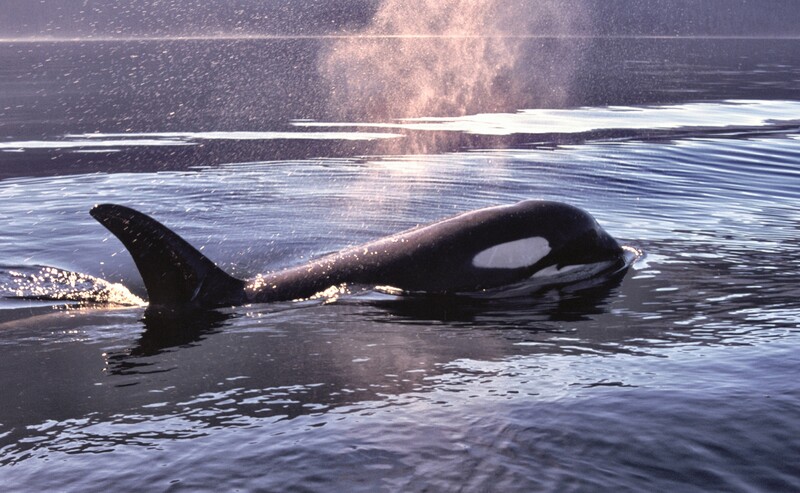 For an Orca is one of the fiercest creatures on the planet but they have never attacked humans in the wild. Certainly we have given them many reasons to do so. But somehow they look at us and they know we are different, as individuals! And so we have learned to trust them, even with our children. And Luna did that. He showed us that we can be friends. A friend that we can’t talk to — we don’t share a language of words — but we do share an even more important language, which we do understand: curiosity, joy, even love. Now we just need to ask ourselves if we are willing to extend what he has taught us to others. Allen, Colin and Trestman, Michael, “Animal Consciousness“, The Stanford Encyclopedia of Philosophy (Summer 2015 Edition), Edward N. Zalta (ed.). Jensen, Derrick. 2004. A Language Older Than Words. Chelsea Green Publishing. The Whale. 2011. Mountainside Films, Téléfilm Canada.